Ginger Chinn serves as the managing director for urban and rural business services for the Governor’s Office of Economic Development. As managing director, Chinn directs a strategic growth plan for Utah’s industry cluster program and manages GOED’s rural programs. Additionally, Chinn oversees GOED’s business services including Utah’s Business Resource Centers and the Procurement Technical Assistance Centers (PTAC). Chinn was previously the vice president of external engagement and economic development at the Davis Technical College (DTC). 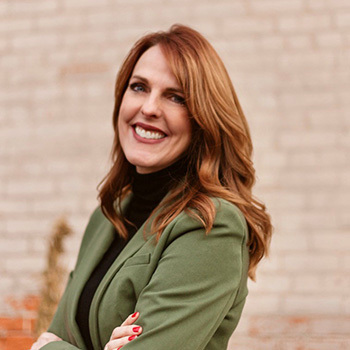 In this role, she directed several areas including Custom Fit training and operations at the Davis and Morgan County Business Resource Centers. Chinn serves on many organizational boards including the Salt Lake Chamber Women’s Business Center, Davis Chamber of Commerce Executive Board, Utah Advanced Materials Manufacturing Initiative (UAMMI), Davis Education Foundation, The Women Technology Council Advisory Board, The Family Owned Business Alliance and the Society of Applied Manufacturers & Engineers (SAMPE). She currently serves as honorary commander at Hill Air Force Base.